Tone, tradition and innovation. Fender’s new American Deluxe Stratocaster® HSS is for guitarists who want a little more. A compound radius fretboard allows effortless string bending anywhere along the neck, and two N3 Noiseless™ pickups provide improved Stratocaster tones while the DH-1 humbucking bridge pickup has more output for fatter lead tones; all with no hum. Reconfigured S-1™ switching offers other distinctive tonal options. The “passing lane” switch instantly routes your signal from any pickup position to the bridge position with the tone circuit bypassed, giving you more overtones and a little more volume. 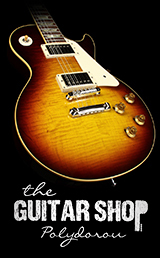 Other features include staggered locking tuners, LSR roller nut, two-point synchronized American Deluxe tremolo bridge with pop-in arm, and beveled neck heel.